Reconciliation Animator for the Anglican Church of Canada. Living on the traditional territories of the Musqueam, Squamish and Tsleil-Waututh First Nations. It’s been almost 3 weeks since I got home from Sacred Circle, and I’m still processing it. 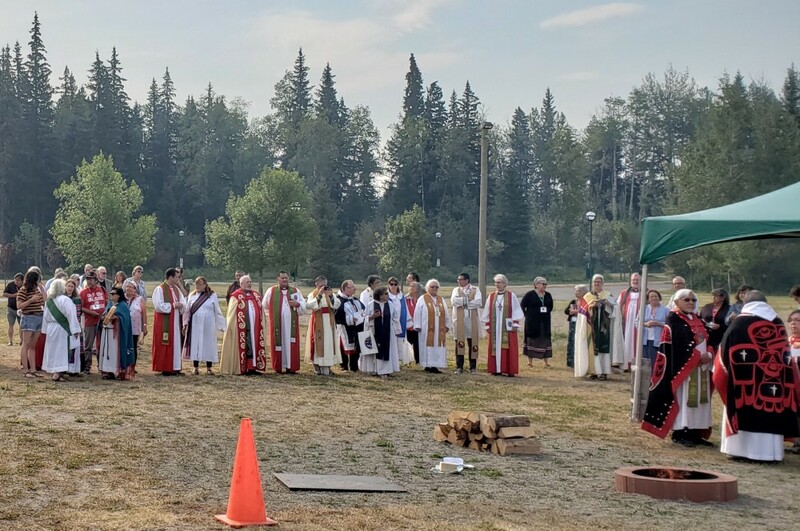 For those unfamiliar, Sacred Circle is the triennial meeting of Indigenous Anglicans from across Canada. More than just a meeting, it is a gathering where fellowship is shared, teachings are conferred, and decisions are made. For those familiar with Anglican Church structures, it is a bit like the triennial General Synod. That said, that it is a gathering that happens every 3 years for the purposes of fellowship, learning and decision-making is perhaps where the similarities end between those two end. Because this is a truly Indigenous gathering. And that is a beautiful thing. The document is 7 pages long, but in a lot of ways, so much of it is summed up in that first sentence. This opening statement alone is pregnant with the content of this treatise. First, it is written and delivered from “the midst” . Some of us who have not been around as long, or not plugged into what is happening may think that self-determination is a new thing. But we were reminded that it has been the vision of the elders and the work of many people for decades. Self-determination is not a new concept. As such, it is not something that has not yet begun — is already happening. “An Indigenous Spiritual Movement” is not only a hope for the future, but a present day reality continuing to blossom. It is a “spiritual movement”. It is not simply an administrative, a bureaucratic, a legal or a structural one. This is something that those of us in the non-Indigenous church might find hard to wrap our heads around. We are used to org charts, spreadsheets, parish rolls and annual returns. So it’s not altogether surprising that almost all of the questions I get asked regarding Indigenous self-determination in the Anglican Church have to do with two things: authority and finances. The two most common questions are “who will be in charge?” and “who is going to pay for it?”. In a statement on the top of the document which is both prophetic and a bit mind-bending, it says; “Our spirituality is our governance”. Whoa. While the document does go on to later explain networks and organization, it is foundationally structured on “living the Word of God in culture and local communities”. Finally it is also in a “spirit of reconciliation”. This so clearly invites Indigenous and non-Indigenous alike into a movement that affects all. One of the repeated principals and goals in the document is that self-determination is not just beneficial for Indigenous peoples . All are made new in the process — it “invites the whole Church to healing. For Indigenous Peoples, it is a reclaiming of humanity; for non-Indigenous peoples, it is a recovery of humanity lost in the moral wound of colonization”. This is not something that happens in a silo. We are all invited to the journey together. 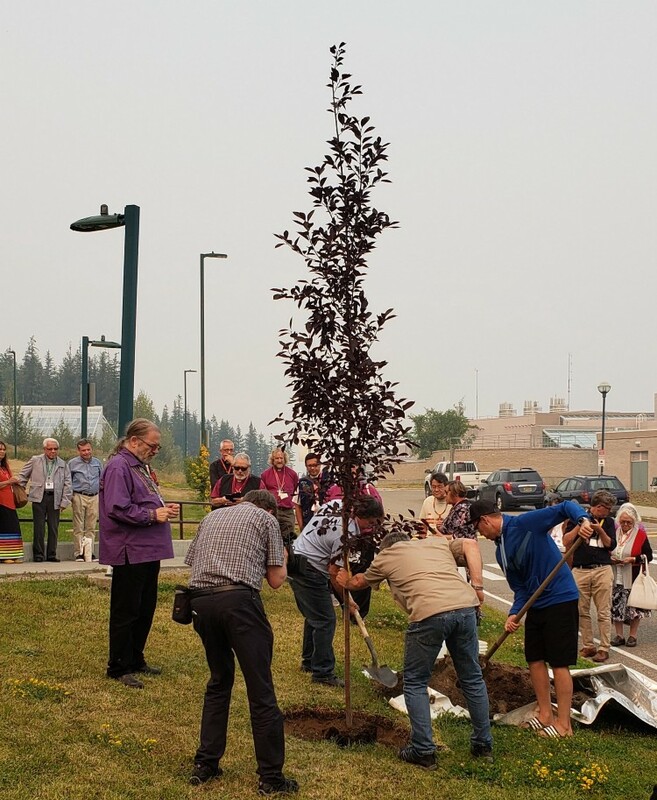 The Sacred Circle tree is planted and watered. From this first sentence, the treatise goes on to give a background introduction on the challenges and risks of speaking across cultures, sets out the goals of self-determination, lays out affirmations of what self-determination is, its key principals and values, and closes with commitments and a Rule of Life. We discussed it in our small groups, and comments were given back to the leadership, which is being incorporated into the work. In the meantime, my great hope and prayer is that we in the non-Indigenous church would open our spiritual imaginations to this movement. That we would receive what may look like just information as teachings, and “treasure up all these things and pondered them in [our] heart[s]” (Luke 2:19) for I believe we are witnessing the emergence of a New Creation.